One Palestinian young man was killed and four others wounded when the Israeli occupation forces (IOF) opened fire at them in areas to the north and south of the Gaza Strip. Medical sources told the Palestinian information center (PIC) that 20-year-old Awdah Hamad was shot dead on Friday by Israeli soldiers during his presence east of Beit Hanoun district in northern Gaza. The same sources also said that four others suffered bullet injuries when Israeli troops opened fire at them in two separate incidents in Jabaliya and Khan Younis. Other local sources reported that Israeli tanks and armored bulldozers carried out, amid intensive gunfire, a small-scale incursion into the east of Jabaliya, and embarked on bulldozing a cultivated piece of land. The three Palestinian dailies highlighted on their Saturday front page the Israeli army killing of a Palestinian on the northern Gaza borders. The main front page story in al-Ayyam focused on this and said soldiers manning army towers lined along the borders with Gaza opened fire and killed Odeh Hamad, 27, and injured his younger brother, Raddad, 25, near Beit Hanoun, north of the Gaza Strip. It said the two were going through a dump more than 850 meters away from the borders looking for wood and other scrap when the soldiers opened fire at them hitting Odeh in the chest and head killing him instantly and Raddad in the shoulder and was reported in moderate conditions. Al-Hayat al-Jadida and al-Quds have also reported on this tragedy on the Gaza border, adding also that soldiers shot and wounded four other Palestinians near the southern borders between Gaza and Israel. Al-Quds said based on Israeli reports that the US State Department has booked 50 rooms in Jerusalem hotels for next month apparently for officials who are going to oversee that the Palestinians and Israelis reach a final settlement by April 29. Al-Quds said in its main front page story that according to an Israeli weekly, the government of Israel has started to sell units for Jews in two new settlements in the all-Arab East Jerusalem neighborhoods of Ras el-Amoud and Suwaneh on the Mount of Olives. The papers reported on the weekly anti-settlements, anti-wall protests Palestinians and supporters carry out every Friday in various West Bank towns and villages and the Israeli army crackdown on these protests. While printing pictures from the protests in the Bethlehem area al-Ma’sara village and Kufr Qaddoum near Qalqilya, the papers said many people were treated for injuries caused by either rubber-coated metal bullets or excessive tear gas inhalation. The three papers also highlighted the Arab League’s foreign ministers’ meeting in Cairo, which convened at the request of President Mahmoud Abbas to discuss the latest in the US-sponsored negotiations with Israel and other developments in the area. Al-Ayyam said Abbas is going to ask the Arab countries to support the Palestinian position from the negotiations. The paper quoted the Egyptian ambassador to Palestine on the reconciliation between Fatah and Hamas saying his country was looking into how to reactivate the reconciliation process. It said in another story quoting Hamas official, Yehya Mousa, in Gaza saying his movement does not have a “nationalist partner” to reach reconciliation with. The paper also said, based on Israeli reports, that Hamas was running its military groups in the West Bank from Gaza. Another article from Gaza in al-Ayyam told the story of what a young man had to go through from terror and threats against his life from an armed group if they found out that he does not pray. Al-Hayat al-Jadida and al-Quds said the United Nations has adopted by a majority vote a resolution stressing Palestinian control over their natural resources in the Palestinian Territory. Al-Quds said Israel is going to turn over to their families next month remains of 36 Palestinians it has killed over the years and kept in “numbered cemeteries” inside Israel. 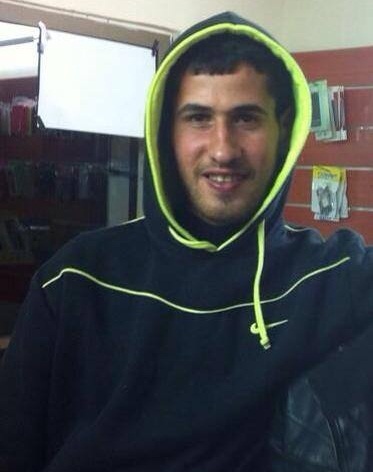 The Islamic Jihad Movement held the Israeli occupation fully responsible for the assassination of NafieSaadi, one of its resistence fighters in Jenin refugee camp. 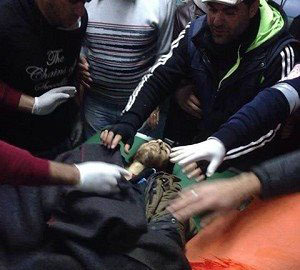 The Israeli occupation forces (IOF) killed the 21-year-old young man, after he was arrested together with his cousin. They were both shot by Israeli gunfire when they confronted Israeli soldiers that were storming the house of prisoner Sheikh Jamal Abu al-Hija in the Jenin camp on Thursday night. Islamic Jihad in a statement mourned martyr Saadi, a fighter in its military wing Al-Quds Brigades, and hoped a speedy recovery for the wounded. For its part, Hamas movement has warned the Israeli occupation of the consequences of its raids and brutal attacks on the Palestinian citizens. Hamas denounced the raid into the home of leader Sheikh Jamal Abu al-Hija by occupation forces, and considered the assassination of Nafie Saadi a new crime to be added to the series of crimes committed against the Palestinian people, their land and holy places. It stressed in a statement on Thursday that the occupation practices and crimes will not succeed in breaking the will of the leaders and national icons, and cannot undermine the resistance. "We call on the masses of the Palestinian people in the West Bank and Jerusalem to confront the enemy attacks, and to continue their struggle in the defense of the land and holy sites," the movement said. It also urged the Palestinian authority to end its security coordination with the occupation and shoulder its responsibilities in defending the citizens in the occupied West Bank who are exposed to the soldiers and settlers' daily violations. 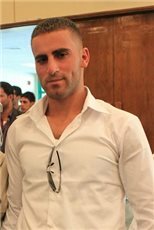 Israeli death squads of the so-called border police operating under cover, reportedly dressing in Palestinian clothes, killed Palestinian Nafie Jamil Al Saadi, 22, in the Jenin refugee camp Wednesday evening and left another seven persons injured in an operation which led to the arrest of dozens of political activists. The death squad operation was coordinated with the so-called Palestinian Authority (PA) security forces and was directed against some political activists from Islamic Jihad and Hamas, who had been earlier released by the zionist regime. PA intelligence personnel and militia have arrested several hundred of Hamas, Fatah and Jihad elements in the occupied West Bank in Jenin, Nablus and Hebron during the past days. In October 25 2013, the Palestinian militia “security forces” raided the house of Sheikh Jamal Abu al-Hayja in search of his son Hamza, 21. The PA militia smashed everything they found at the house of Abu Al Hayja and then they told his wife that her son “Hamza” must turn himself in two days. They threatened her and left. Sheikh Abu al-Hayja was the leader of a group of fighters in Jenin refugee camp battle in 2002. He lost his arm while defending the Palestinian civilians in Jenin. 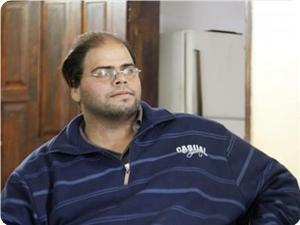 He was arrested by the Israeli occupation soldiers and sentenced to nine life sentences and an additional 25 years. He is imprisoned at the Gilboa jail. His son “Abed Al-Salam” is serving seven and a half life sentence and his son “Asim” has been in administrative detention for several years. His wife and daughter were previously jailed, interrogated and tortured and then released by the Israel zionists. His son “Hamza”, who was 11 years in 2002, NOW is “wanted” by both of the israeli occupation and the PA forces. 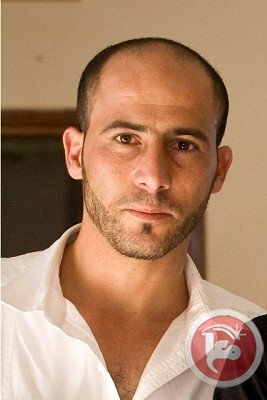 Today evening, at round 5:30 PM and with full knowledge of the PA, the israeli death squads dressing as Palestinian technicians and operating “undercover” raided Jenin refugee camp in a car with Palestinian license plates and entered the house of the Hamas leader Sheikh Jamal Abu al-Hayja to arrest his son Hamza. Palestinian youths of the area protested against the filthy coordinated mission between of israeli occupation death squad soldiers and PA “security forces” elements. As usual for such occasions, they hurled insults and threw stones at the zionists death squads. A detachment of the IDF Artillery Corps was stationed nearby providing additional cover for the death squad unit. When the protests of the Jenin youths stoned the IDF death squad troops, About 25 military vehicles entered the camp and fired live ammunition at Palestinians. 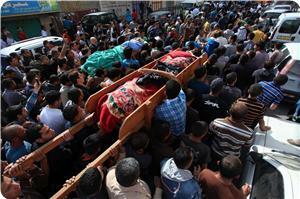 The result was that a Palestinian was killed and 7 injured among them three critical injuries. According Oslo agreement the PA “forces” militia role is to provide cover for the so-called Israeli’s security needs, to fight against the Palestinian resistance and imprison them; to hand the so-called “wanted Palestinians for the occupation, to free the hands of the israeli soldiers whenever they want to arrest Palestinians. The Palestinian government condemned the killing of two Palestinians in a cool blood by Israeli forces in Jenin and Qalqilia in the West Bank. The general manger of the Government Media Office, Salama Ma’rouf, said that the Israeli occupation committed its crimes under the cover of ongoing negotiations with the Palestinians Authority(PA) in Ramallah. He consider the killing of both Saleh Samir Yassin, from Qalqilia and Nafe' Saadi from Jenin as a crime and Israel must be punished by the international community. Ma’rouf called on Mahmoud Abbas to stop the negotiations, implement Cairo agreement and start procedures to form a national unity government. He called on the international community and human right organizations to bring Israeli occupation leaders to justice to prevent them from committing more crimes against Palestinians. On Wednesday at night, Israeli soldiers shot and killed a young Palestinian man in Jenin, in the northern part of the occupied West Bank, on Thursday at dawn they killed a Palestinian security officer in Qalqilia city. ground, and prevented local medics from providing him with urgently needed care, or moving him to hospital. The Israeli military claimed that the soldiers "retaliated towards" approximately 100 Palestinians, who were "hurling rocks," at the soldiers. A young man in the city of Khan Younis in the southern Gaza Strip died of asphyxiation on Saturday, Gaza-based Palestinian News Agency Safa reported. Hundreds of mourners from the Bethlehem district on Thursday gathered for the funeral of a man who succumbed to wounds inflicted by Israeli forces nine years ago. Bethlehem - Palestinian medical sources have reported that a young Palestinian man died on Thursday morning of a serious injury suffered after being shot by an Israeli soldier in 2004. The sources said that Ma’in Al-Atrash, 29, from the Deheisha refugee camp, fell into a coma several days ago due to serious complication. 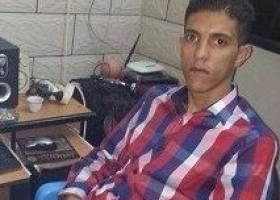 A month ago, he was moved to the Arab Society Hospital and Rehabilitation Center in Bethlehem, and was moved later moved to the Al-Maqasid Hospital in Jerusalem due to the seriousness of his condition. He suffered various complications, and developed serious pressure sores, that eventually led to his death despite extensive efforts to provide him with the needed medical attention. In 2004, Al-Atrash was shot by an Israeli army bullet to the back, hitting his spine and causing paralysis. He was shot during one of the massive protests, in different parts of the West Bank and the Gaza Strip, after an Israeli war jet fired a missile at the wheelchair-pound spiritual leader of the Hamas movement, Sheikh Ahmad Yassin, in Gaza on March 22, 2004. Sheikh Yassin, his bodyguards and nine more Palestinian bystanders were killed in the attack, and at least 12 Palestinians were injured. Yassin was heading to a local mosque for dawn prayers. Nothing better symbolizes Israel's rejection of the universality of the Declaration of Human Rights than the closure of its investigation into the death of Mustafa Tamimi. Sixty-five years ago, the United Nations adopted the Universal Declaration of Human Rights. International Human Rights Day, which takes place Tuesday, symbolizes the hope reflected in that moment, following the end of World War II, and the belief that if human rights could be rescued from the limitations of the nation-state and given a universal definition under which every person is deserving of protection, this would ensure a better world. The universal declaration also sought to break out of the framework of civil rights; it included the idea of just and adequate living conditions, in the form of social rights. Sixty-five years later, many of the promises embodied in this declaration have not been kept. Social rights are fighting for their life against a neoliberal ideology that seeks to reduce and privatize social spending, while disparities in access to health, education and housing are steadily growing. The declaration's other promise, the one relating to the universality of human rights, has also not been kept. And it seems that nothing better symbolizes Israel's rejection of the declaration's universality than the closure, on the eve of Human Rights Day, of its investigation into the death of Mustafa Tamimi. Tamimi is one of at least 18 Palestinians, including eight minors, who have been killed by [Israeli Occupation Forces]fire during demonstrations in the territories, mainly as part of the fight against the separation barrier, since 2004. They include Bassem Abu Rahmeh, whose story was told in the documentary "5 Broken Cameras." Abu Rahmeh was shot even though he wasn't endangering anyone; the investigation into his death was closed in September without anyone being held accountable. Demonstrators who were killed in the context of the Palestinians' popular struggle are only part of the story. More broadly, Palestinians are routinely killed by [IOF] gunfire. 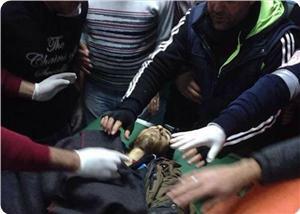 Just this weekend, a 15-year-old boy, Wajih al-Ramahi, was killed in the Jalazun refugee camp near Ramallah. Our unfortunate experience teaches us that no one will be held responsible for this death, either, and that in another few years, after an excessively long investigation, we will be informed that he, too, was killed in accordance with the rules. But perhaps this failure to bring anyone to trial is a more accurate representation of reality than an Israeli indictment would have been. Bringing to trial a soldier who kills a Palestinian might create the impression that doing so is an exception rather than the rule. Refraining from indicting soldiers who kill Palestinian civilians – whether they are teens like al-Ramahi, or demonstrators protesting the theft of land like Tamimi – is no less significant a statement than indicting them would be. It's a statement exclaiming that disregard for Palestinian lives is a key characteristic of the occupation, that the problem doesn't lie with any one particular shooting but with a norm of disregard for human life that stems from the very fact of an occupation army having control over a civilian population. It's a statement exclaiming that the so-called order the [IOF]seeks to impose in the territories is illegitimate, that the violence with which this order is achieved is the norm, and that the occupation is characterized by a combination of military violence and violence perpetrated by private citizens, like the settlers who take over Palestinian land. It is the army's control that enables and legitimizes all this. In Israel, Human Rights Day should become a day to mourn the lack of respect for human rights. This article was originally posted on Haaretz. Thousands of mourners turned out on Sunday for the burial of Wajih Wajdi al-Ramahi, a 14-year-old Palestinian boy who was shot dead by Israeli forces near al-Jalazun refugee camp while he was walking home from school on Saturday. Al-Ramahi was shot with live bullets in the back by an Israeli sniper from a watchtower in the nearby settlement of Bet El. Following an autopsy on his body at the Institute of Forensic Medicine at the Al-Quds University in nearby Abu Dis, his corpse arrived in al-Jalazun refugee camp, where al-Ramahi lived before his life was cut short. At the refugee camp, his body was met by thousands of mourners. The young boy's body was carried on shoulders to his family home, where his family members said their last goodbyes. His mother, sisters and other relatives wept as his body passed by the door to his home as his body was moved to the refugee camp's mosque for funeral prayers. His body was finally laid to rest in the camp's cemetery, with a gunfire salute into the air as his body was lowered into the ground. Al-Ramahi's father said that his eldest son had been playing soccer with his friends before heading to the store to buy soft drinks on Saturday. While walking in front of his school, a single bullet pierced his back. His father described the killing as an "assassination" and "cold-blooded murder." Although Israeli army spokespeople originally denied knowledge of the boy's slaying, they have since acknowledged responsibility according to Israeli media sources, but have not given a reason for the shooting. An army spokeswoman told Ma'an that an "investigation" had been launched into the incident. Secretary General of the Palestinian National Initiative Mustafa Barghouti said that negotiations by the Palestinians with the State of Israel are being used as "a cover for settlement expansion and in order to carry out crimes and murder against the Palestinian people." He called for an "end to negotiations and for the International Criminal Court to try Israel and its leaders for war crimes committed against the Palestinian people, including the murder of the al-Ramahi child." A Palestinian child from Jalazoun refugee camp to the north of Ramallah was killed Saturday night at the hands of an Israeli sniper. Father of the martyr Wajih Ramahi, 15, told Quds Press that an Israeli sniper in Beit El settlement fired six shots at his child. He said that the bullets hit his son in the chest, adding that an ambulance car carried his child to Ramallah government hospital but all attempts to save his life failed. The father said that, at the time of the incident, his son was walking along with a friend on the main street in Jalazoun refugee camp, adjacent to Beti El settlement, adding that there were no confrontations at the time. The father said that his son’s murder at the hands of Israeli occupation forces was the latest in a series of occupation crimes against the Palestinian people committed on daily basis. Palestinian medical sources have reported that a Palestinian child was shot and killed by Israeli army fire near the Al-Jalazoun refugee camp, north of the central West Bank city of Ramallah. 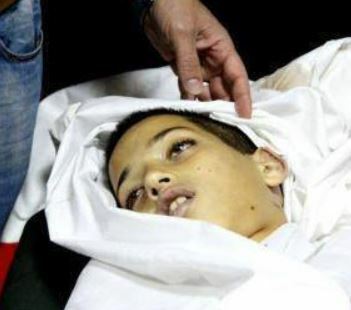 The child has been identified as Wajdy Mustafa Ramahy, 14; he was shot by a live round to the back. His father said that the child was playing with his friends near the main road that leads to the Bet El Israeli settlement and military base. He was heavily bleeding, and died shortly after being moved to hospital despite all efforts to save his life. The father and several eyewitnesses denied Israeli military claims that the soldiers opened fire at Palestinians who hurled stones at them, and said that the area witnessed no clashes until the soldiers shot the child dead. The Israeli police released on Saturday evening the Israeli soldier who shot and killed on the same day a Palestinian young man near Tel Aviv in the 1948 occupied lands. The Hebrew radio said that the soldier claimed during interrogation that he had felt at the moment that his life was in danger when the Palestinian young man tried to reach something that seemed to him in the dark like a knife and then he fired one bullet at his chest. Antar Al-Aqra, who was killed on Saturday morning, was working in the 1948 occupied lands and he was getting prepared for his wedding, which was supposed to be held soon. However, informed Palestinian sources reported that an Israeli soldier from the border guards deliberately opened fire at the young man, which caused his immediate death. The sources denied the Israeli police claims that the victim tried to attack the Israeli soldiers and stab him with a sharp blade, affirming that the soldier used his firearm unjustifiably. A volunteer for the Israeli border police shot and killed a young Palestinian worker in Petah Tikva early Saturday, Israeli media and a police spokesman said. 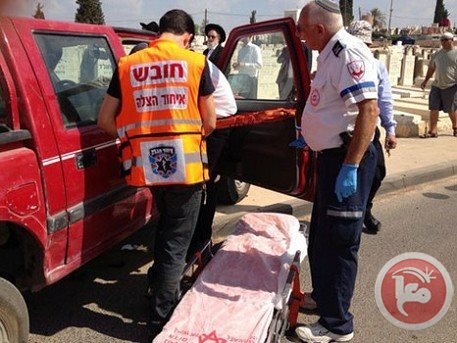 Thursday Evening [November 28, 2013] A Palestinian child has died, as an ambulance transporting her to the Beit Jala Hospital, in the Bethlehem District, was delayed at an Israeli military roadblock, Palestinian medical sources have reported. The child, Nour Mohammad Affana, 14, suffered with a severe case of pneumonia. The Palestine News Network (PNN) stated that a physician first examined her and, then, decided to move her to the Intensive Care Unit in Beit Jala Hospital. Her father said that, after an ambulance tried to transport her to ICU through the Container Roadblock (the main roadblock to the east of occupied Jerusalem which splits the occupied West Bank), the entire area became jammed with cars as the soldiers closed the roadblock, and the ambulance could not get through. The ambulance then tried to take a bypass road, near the Kidar Israeli settlement, but was unable to do so, and decided to drive to the Ramallah Governmental Hospital. The child passed away just minutes before arriving at the hospital. Spokesperson of the Popular Resistance Committee Hani Halabiyya, stated that, starting three days ago, Israeli soldiers manning the Container Roadblock began to deliberately close the roadblock during morning and evening hours, causing huge traffic jams. He added that the Jerusalem City Council has been doing some work on the main road heading to nearby Al-Ezariyya town, removing two stop signs from the road and placing them at the Qidar-Ma’ale Adumin settlement junction, thus widening the main road. Israeli forces shot and injured two Palestinians at a demonstration near Jerusalem in the occupied West Bank late Friday, activists said. Palestinian medical sources reported, on Thursday night [November 28, 2013], that a young Palestinian man died of wounds suffered five months ago during clashes with Israeli soldiers at the Qalandia terminal, north of occupied Jerusalem. The sources said that Mahmoud Wajeeh Awwad, 22, was shot in the head by a live round fired by an Israeli soldier, and was moved to the Hadassah Israeli Hospital in Jerusalem. He remained in a coma, in serious condition, until his death. 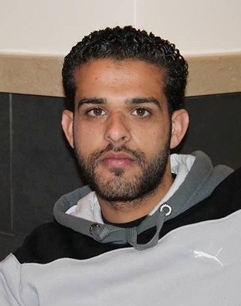 Awwad was shot during protests against the ongoing Israeli violations and abuses targeting Palestinian political prisoners, in addition to Israel's ongoing violations against the Palestinian people. Following his death, dozens of Palestinian youths held a protest near the Qalandia Terminal, and the Israeli army fired gas bombs and rubber-coated metal bullets, injuring at least four Palestinians. Thousands of mourners on Friday participated in the funeral of a man who died Thursday of wounds he suffered from Israeli fire eight months earlier. Mahmoud Wajeeh Awwad, 24, died Thursday as a result of injuries he sustained after being shot in the head with a rubber-coated steel bullet eight months ago during clashes at the entrance of Qalandiya refugee camp. The funeral procession started from from Palestine Medical Complex and ended at a mosque where participants prayed for him, and then went to the camp’s cemetery where he was laid to rest. Masked and armed men from the al-Aqsa Brigades participated in the funeral and fired shots in the air during the procession. After the procession, dozens marched toward Qalandya checkpoint and clashed with Israeli forces. Palestinian youths threw rocks at Israeli soldiers who responded by firing live ammunition, rubber-coated steel bullets, and tear gas. Thousands of people marched in the funeral procession of the three Palestinian resistance fighters who were killed by Israeli occupation forces (IOF) near Yatta, Al-Khalil, on Tuesday night. Two of them were laid to rest in Yatta town while the third was laid to rest in Al-Khalil city at noon Wednesday. Participants at both funerals called for revenge and urged the Palestinian Authority to halt negotiations and security coordination with Israel. Clashes erupted in various areas in Al-Khalil province after news of the killing of those three fighters spread. Young men threw stones at IOF patrols and the soldiers fired rubber bullets and teargas canisters at them causing a number of young men to suffocate. Local sources said that IOF soldiers fired teargas into Zahra elementary school for girls in the Old City of Al-Khalil, adding that students suffered breathing problems as a result. Meanwhile, Fawzi Barhoum, a Hamas spokesman in Gaza, said that the Israeli crime should not pass without punishment. He described the incident in a press release on Wednesday as very serious and pointed to the extent of IOF disregard to Palestinian blood and lives. Barhoum championed an angry Palestinian reaction to the crime to put an end to the Israeli violations and to defend the Palestinian people, land, and holy shrines. MP Samira Halaiqa stated that the PA was responsible for the assassination of three Palestinian activists in al-Khalil on Tuesday night by Israeli soldiers, saying that security coordination with occupation has led to this crime. 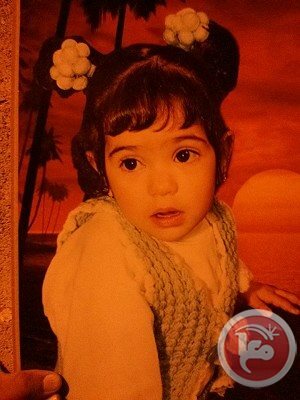 The three martyrs were chased by PA security forces three weeks before being killed by Israeli forces, she added. She considered the claims saying that the three martyrs were affiliated with an extremist Jihadist group as a kind of misinformation to cover up for the security coordination crime between PA and Israeli forces. PA uses these claims to justify its security coordination policy with the occupation authorities and to justify its arrest and summons campaigns against citizens in the occupied West Bank, she continued. Change and Reform bloc MP Halaiqa stated that the PA is unable to prevent Israeli forces from carrying out crimes and arrests against Palestinians in West Bank. For its part, the Popular Front for the Liberation of Palestine renewed its call on the PA to stop concessions and negotiations with the occupation, saying that such negotiation give cover to Israeli crimes. The PFLP said that the killing of three Palestinians in al-Khalil came as part of the Israeli war crimes committed against Palestinian land, rights and holy sites. Intifada Youth Coalition condemned the heinous crime committed in al-Khalil by the Israeli soldiers, who assassinated three Palestinians, and called for igniting a new intifada. The coalition, in a statement on Wednesday, called on the Palestinian youths to clash with the occupation forces in all seam zone areas and urged the resistance factions to respond to the occupation’s crime. For its part, the Islamic Jihad Movement in Palestine condemned the assassination of the three Palestinian citizens by the occupation forces. It called on the Palestinian citizens in a statement on Wednesday to escalate the confrontations and clashes with the occupation forces, considering this the most effective way to stop the attacks of the Israeli soldiers and settlers. The Palestinian Prisoners Center for Studies has also appealed to prosecute the occupation leaders before the International Criminal Court, as war criminals who have continued to commit clear crimes against the Palestinian people. The center asserted that the assassination of the three Palestinians was a planned operation and had not been carried out by accident as the occupation claimed, and noted that the Israeli soldiers have opened fire on the vehicle of the three martyrs with the aim of killing them. 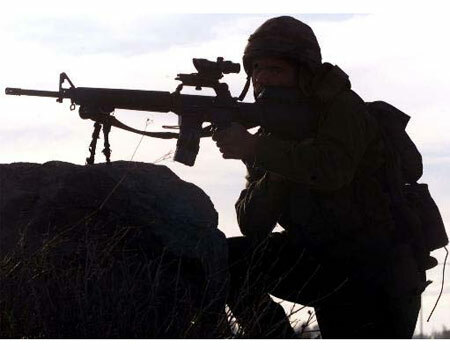 Israeli occupation forces (IOF) killed three Palestinian resistance fighters affiliated with the Qassam Brigades, the armed wing of Hamas, near Yatta, south of Al-Khalil, on Tuesday night. Hebrew sources said that the soldiers fired at a car with Israeli plates and killed two “wanted” Palestinians who were planning a commando operation in the green line. The Israeli TV channel 10 claimed that the soldiers found guns and explosive devices inside the car, which was blasted later on. 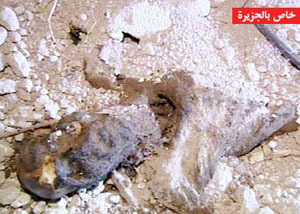 A third resistance fighter managed to escape the scene and retreat to his home but IOF soldiers chased and killed him. 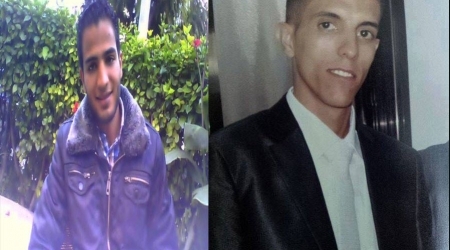 Coordinator of popular committees against the wall and settlement in Yatta Ratib Jabour identified the martyrs as Mahmoud Al-Najjar and Mousa Fanasha from Yatta, and Mohammed Nayrukh, a liberated prisoner, from Al-Khalil city. He said that all three were affiliated with Hamas and were wanted for the PA security apparatuses. Eyewitnesses at the scene of the incident, at the main entrance to Yatta town, said that the soldiers blocked arrival of ambulance cars to the scene. They said that the soldiers set up dozens of roadblocks at the entrances to Al-Khalil industrial area, Fawar refugee camp, and the villages of Daheriya, Yatta, and Dura. The witnesses pointed out that the soldiers closed the main entrance to Yatta immediately after the incident and blocked traffic in and out of the town and searched homes in Abu Rajab suburb. 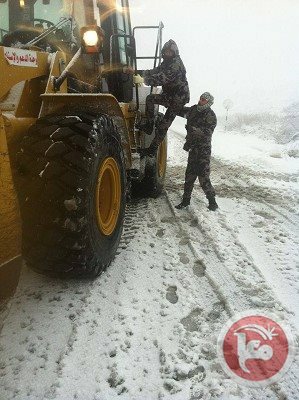 Local sources said that IOF reinforcements were summoned to the villages east of Yatta and a curfew was clamped on a number of them. They said that the soldiers arrested Khalil Abu Aram and his son after blasting their way into their home in Yatta after claiming that a resistance fighter was entrenched inside it. Secretary General of the Palestinian National Initiative, Dr. Mustafa Barghouthi, condemned the assassination of three Palestinians by the Israeli army in Hebron, and called on the Palestinian Authority (P.A) in the West Bank, to quit political talks with Tel Aviv. 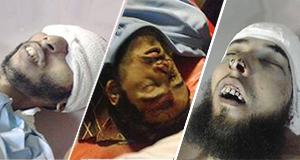 Dr. Barghouthi said that the murder of the three Palestinians is a war crime, carried out in cold blood.. He added that Israel must be brought to justice at the International Criminal Court, for its crimes against the Palestinian people and humanity. The three were killed on Tuesday evening east of Yatta town, south of the southern West Bank city of Hebron. “This crime is a racist crime, a crime against the Palestinian people”, he said, “The International Community must act and prosecute Israel and end its aggression instead of ignoring its crimes, and its illegitimate settlement activities”. “Negotiations with Tel Aviv just grant it more immunity for its crimes and violations”, Dr. Barghouthi stated, “Israel’s apartheid system must be stopped”. He further stated that with the most recent crime, the number of Palestinians killed since the resumption of peace talks a few months ago rises to 22, while hundreds have been injured, and kidnapped. The Red Crescent Society in Hebron said that the three have been identified as Mahmoud Khaled Najjar and Mohammad Mousa Fansha, both from Yatta, and Mohammad Fuad Nairoukh from Hebron. The Gaza-based Palestinian government held the Israeli occupation regime fully responsible for the consequences of the cold-blooded killing of three Palestinians today at the hands of its soldiers in Al-Khalil city. The Israeli occupation forces (IOF) killed at dawn Wednesday three Palestinians in Al-Khalil city and claimed they were armed to justify their use of deadly force. Palestinian minister of religious affairs Ismail Radwan told Quds Press that the Palestinian government deplores the killing of the three Palestinians at the hands of Israeli soldiers. "This crime is part of the occupation's atrocities which started with seizing the [Palestinian] land, desecrating the holy sites and assassinating the Palestinian human being," Radwan stated. He also considered this crime a natural result of the Palestinian Authority's frivolous talks with the Israeli occupation regime, stressing that since the peace negotiations started last August the IOF have killed more than 20 Palestinians. "These futile negotiations provided a cover for the occupation's crimes against our people and their holy sites, and recently the occupation made up a law facilitating the entry of the Zionists to the Aqsa Mosque's courtyards and providing protection for them," the minister added. The minister demanded the Palestinian Authority to necessarily end its security cooperation and peace talks with the Israeli occupation and give the resistance in the West Bank a free hand to retaliate to its crimes.